Jeffrey Michael Tambor was born on the 8th July 1944, in San Francisco, California USA, of Hungarian and Ukrainian descent, and is an actor probably best recognized for starring in the role of Hank Kingsley in the TV series “The Larry Sanders Show” (1992-1998), playing George Bluth Sr./Oscar Bluth in the TV series “Arrested Development” (2003-2013), and as Maura Pfefferman in the TV series “Transparent” (2014-2016). His acting career has been active since 1973. So, have you ever wondered how rich Jeffrey Tambor is? It has been estimated by authoritative sources that the total size of Tambor’s net worth is over $15 million, as of mid- 2016; his salary per episode of “Transparent” is over $75,000. Obviously, most of his income is the result of his successful involvement in the entertainment industry as a professional actor. 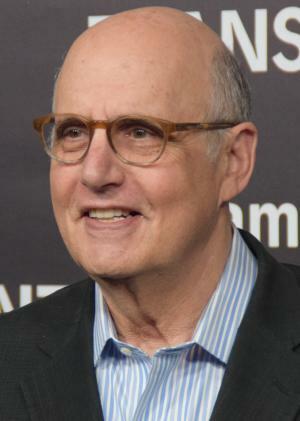 Jeffrey Tambor was brought up in a Conservative Jewish family by Michael Bernard “Mike” Tambor, who worked as a flooring contractor, and Eileen Tambor, who was a homemaker. Upon matriculation, he enrolled at San Francisco State University, from which he graduated with a BA degree in Acting. Later, he attended Wayne State University, where he earned his MA degree. Jeffrey’s acting career began in the late 1970s, with his Broadway debut appearance in “Sly Fox” (1976), starring alongside George C. Scott, and with a role in the TV series “Kojak” (1977). Since then, he has made over 200 film and TV appearances, which have only increased his net worth, to a large degree. Before the 1970s ended, he made his film debut in the role of Jay Porter in the film “…and Justice For All” (1979), starring Al Pacino and John Forsythe. The same year he was cast as Jeffrey P. Brookes III in the TV series “The Ropers” (1979-1980). These early roles helped him establish a name for himself in the entertainment industry, and also increased his net worth. In the 1980s, Jeffrey continued with successful film and TV appearances, earning roles in such productions as “Hill Street Blues” (1981-1987) as Alan Watchel, “Saturday the 14th” (1981), “The Dream Chasers” (1982), “Mr. Sunshine” (1986), “Max Headroom” (1987-1988), “Studio 5-B” (1989), and “Lisa” (1989), among others. The next decade brought his career to a new level, when he secured the part of Hank Kingsley in the popular “The Larry Sanders Show” (1992-1998). He had several other notable roles in such films as “Crossing The Bridge” (1992), “A House In The Hills” (1993), “Radioland Murders” (1994), “Heavy Weights” (1995), “There’s Something About Mary” (1998), “Doctor Dolittle” (1998), and “Teaching Mrs. Tingle” (1999), among many other films, all of which helped increase the overall size of his net worth. Jeffrey’s first role in the new millennium was as Clem Greenberg in the film “Pollock” (2000), about American painter Jackson Pollock, starring Ed Harris and Marcia Gay Harden. Three years later, he was selected for the role of George Bluth Sr./Oscar Bluth in the TV series “Arrested Development” (2003-2013), contributing more to his net worth. While the show lasted, he stayed pretty active in the acting world, acquiring roles in such popular films and TV series such as “Hellboy” (2004), as Tom Manning – a role he repeated in the sequel “Hellboy II: The Golden Army” (2008) – “The Hangover” as Sid Garner – a role he repeated in “The Hangover II” – “Lucky” (2011), “Bent” (2012), “For The Love Of Money” (2012), “Transparent” (2014-2016), and most recently “The Death of Stalin”, which will be released in 2017. Thanks to his skills, Jeffrey has won several prestigious nominations and awards, including the Golden Globe award in the category of Best Performance by an Actor in a Television Series for his work on “Transparent”, and he won the Primetime Emmy Award in category of Outstanding Lead Actor in a Comedy Series for the same series. Furthermore, he was nominated four times for a Primetime Emmy award for his work on “The Larry Sanders Show”, but never actually won. Regarding his personal life, Jeffrey Tambor has been married to actress Kasia Tambor since 2001; they are the parents of four children. Previously, he was married to actress Katie Mitchell from 1991 to 2000. 1 [2015, on how being sober has helped his acting] I can only speak for me, but in my life, I find that in sobriety I feel much more, and I have much more depth. I also feel, not to segue, but as being a parent of five kids, I can bring much more to my acting, and so I'm all about anything that gives you more feeling and more depth. In feeling more, the waters can get rough, but so what? Let the waters be rough. If I hadn't been sober I don't think I would've even been around for Transparent (2014). Your resources are feeling, your resources are depth, your resources are learning, your resources are touching and feeling, and to me sobriety helps and aids all of that. 2 [2015, on how he got cast in Arrested Development (2003)] I was a day-player, basically, for that. I was actually signed up on another series. I wasn't on for the run. So I remember having so much fun, and we did the boat scene first, and then we did the jail sequences, and I had so much fun, and I was praying for this other venture to fall through, and it did, and they called and said, "We would love you in the series; how many would you like to do of 13?" I said, "Oh, uh, 13." Because I loved it so much. It was wonderful, and I love the cast and I love Mitch [Mitchell Hurwitz]. They're like my kids anyway. 3 [2015, on dressing as Maura, his Transparent (2014) character, for the first time] I was scared stiff, and we began the makeup and they did the hair, and I remember Maura just appearing on my face, and I went, "Well, that's exactly how she looks." And we dressed her up and we went out dancing at a place called The Oxwood, and I remember walking through the lobby of that hotel and my legs were just shaking, and I said to myself, "Never, never, never, never forget this moment, because this is exactly how it is to live as Maura." 4 [2014, on playing a transgender woman on Transparent (2014)] This is definitely the most transformative role of my career, and I don't just mean in the externals. This was not something I could pull out of my Jeffrey Tambor technique bag. I kind of like not knowing how to do something - it's more exciting. 5 (2008, on landing ...And Justice For All) I will never forget the moment at the audition meeting when Norman Jewison said, "Are you nervous?" and I said, "I sure am." And he said, "Would you like a cigarette?" And I said, "Sure." And I looked down, and he had a pack of Merits in front of him, and Patrick Palmer had a pack of Lucky Strikes-or Camels, whatever. It was a non-filter. And I said, "Give me the kind that killed Nat King Cole." And I think from that moment on, I was in active contention for that role. They looked at each other like, "What the hell just happened?" But they got it. And I don't know why I said that. I don't know what killed Nat King Cole! But it was something that the character Jay would definitely say, and they said, "Come back Monday and read with Al." And I went, "Al... Al?" And they said, "That would be Al Pacino." And I went, "Oh!" And I went home and I literally memorized that part, and I came in. I remember there's a scene in the bathroom where I laugh a certain way, this sort of hysterical way. For some reason, I just knew [Jay] was gonna laugh that way. And that Monday, when I did that scene with Al, Al laughed. And when he laughed, I knew I had the role. There was just something there. I just knew I had it. 6 (2008, on working on Hellboy) It's so funny, because you forget it's a comic book. The actor's job is to make it real. There's no wink in it. You approach it the same way you would Death Of A Salesman. And Ron Perlman is a fabulous actor. That's high standards there. He really does a great character. The fact that he's covered in a body suit and has horns has nothing to do with it; it's a real character turn. So it's tremendous. We worked six months on it in Budapest. It was really hard work, and wonderful work. I thought Pan's Labyrinth was one of the greatest films I've ever seen, just pure artistry. [Del Toro] is just really something, this guy. And he's a real mensch: down-to-earth, funny, huggy, and terrific. 7 (2008, on The Larry Sanders Show) Changed my life. I am so thankful that-I mean, go figure. Most people are lucky to get one good series, but I got two groundbreakers. I just knew when I read that "Hey Now" script that something was afoot. Those were seven of the greatest years of my life. I learned so much, and it affirmed everything I thought comedy was. It was really a tremendous experience. 8 (2008, on Meet Joe Black) That scene that I have with Brad [Pitt]-that one out by the sea where I confess to him that I really screwed up and I've sort of betrayed them-is one of my favorite scenes that I've ever done. He was just so wonderful. He's great. I mean, this was years ago, but he's very modest. He's a real hardworking actor. I think he was going through something difficult at that time, and he never brought his personal stuff-not once!-on the set. He was a real pro. I remember doing that scene, and as I was acting, I thought, "I understand why this guy's a movie star." Because there was just something that he did when the cameras rolled. There was some kind of energy that was really magnificent, a real aura about him. Those movie stars, they have that "thing." 9 (2008, on Mr. Mom) Yes, and I loved that role. I remember driving that first day in the car, Michael Keaton and I, and Stan Dragoti was in the camera truck in front of us... No one had any idea it was gonna be a runaway hit. And that's an actor's life. I thought Meet Joe Black was gonna be one of the big changes for me, and it was gonna be a runaway hit-and it wasn't. And with Mr. Mom, I said, "There's just no way." And it turned out to be a huge hit. Huge! 10 [on what has guided his career] Go where your heart is, not the dollar sign. 11 [on attending San Francisco State University] I am positive I am an actor because of that place. 12 [on making The Larry Sanders Show (1992)] Those were seven of the greatest years of my life. I learned so much, and it affirmed everything I thought comedy was. It was really a tremendous experience . . . And I loved (my character) Hank Kingsley. He was very real to me. There was just something about that character. I really believed him. I didn't think he was a buffoon. I understood the inner workings of him, so I sort of felt sorry for him, the poor guy. He was very important to me. 13 [on making Meet Joe Black (1998)] That scene that I have with Brad [Brad Pitt] - that one out by the sea where I confess to him that I really screwed up and I've sort of betrayed them - is one of my favorite scenes that I've ever done. He was just so wonderful. He's great. I mean, this was years ago, but he's very modest. He's a real hard-working actor. I think he was going through something difficult at that time, and he never brought his personal stuff - not once! - on the set. He was a real pro. I remember doing that scene, and as I was acting, I thought, "I understand why this guy's a movie star." Because there was just something that he did when the cameras rolled. There was some kind of energy that was really magnificent, a real aura about him. Those movie stars, they have that "thing." 14 [on Mr. Mom (1983)] No one had any idea it was gonna be a runaway hit. And that's an actor's life. I thought Meet Joe Black (1998) was gonna be one of the big changes for me, and it was gonna be a runaway hit - and it wasn't. And with "Mr. Mom", I said, "There's just no way." And it turned out to be a huge hit. Huge! 1 He was awarded the 1982 Drama Logue Award for Outstanding Performance for "A Flea in Her Ear" at the Mark Taper Forum Theatre in Los Angeles, California. 2 Winner of 2016 Screen Actors Guild Award for Outstanding Performance by a Male Actor in a Comedy Series (Transparent). 3 Appears in the Phil Collins music video for "I Wish It Would Rain Down". 4 His paternal grandparents, Ignatz and Mollie, were Hungarian Jewish immigrants. His maternal grandparents, Joseph and Gertrude, were Ukrainian Jews (from Kiev). 5 Teaching fellow/grad assistant at Wayne State University in Detroit in late 60s. 6 He purchased a four-bed, five-bath, 3,591 sq ft home in Topanga, California in 2008 for $1.675 million. 8 He was nominated for a 1974 Joseph Jefferson Award for Best Actor in a Principal Role for his performance in "The Play's The Thing", at the Goodman Theatre in Chicago, Illinois. 9 Children: Molly Tambor (b. 1975); Gabriel Kasper (b. December 10, 2004), Eve Julia (December 10, 2006), Hugo Bernard and Eli Nicholas (twins b. October 4, 2009) with wife Kasia. Daughter Molly gave birth to his grandson (Mason Jay Moore) four days before his son Gabriel was born. 10 He originally played Tom Abernathy in Miss Congeniality 2: Armed and Fabulous (2005). However, when the scene needed to be re-shot, he was shooting Arrested Development (2003), so the scene was re-shot with Stephen Tobolowsky. The version of the scene with Jeffrey can be seen on the DVD. 11 Directed a production of "Burn This" at the Skylight Theatre in Los Angeles and is the co-owner of Skylight Books in the Los Feliz area. 12 Played multiple characters on Three's Company (1976). 13 In spite of his typically obnoxious or exasperating characters, Tambor is one of the most respected and well-liked character actors working today. 14 Was a teacher at Milton Katselas' Beverly Hills Playhouse. Radioland Murders 1994 Walt Whalen, Jr. Teaching Mrs. Tingle 1999 performer: "Like a Virgin"